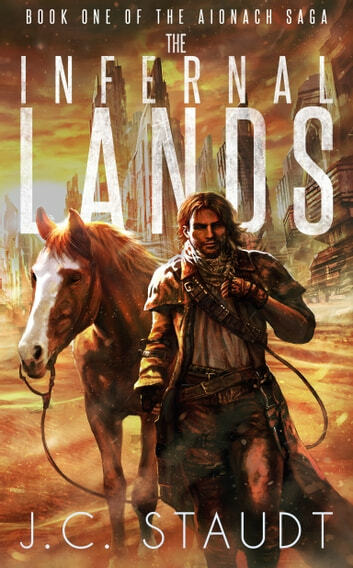 For fans of Fallout, Mad Max, and the Dark Tower comes an epic tale of wasteland adventure for a new generation. 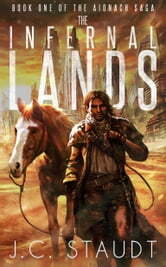 In the bleak and dangerous wastelands of a dying world, a lone drifter sets off on a journey of vengeance, fleeing the men who want him dead. He is carrying a secret which, in the right hands, will ensure the downfall of his forefathers' most bitter rival and win his family its long-awaited retribution. Across the sands, a young soldier stews in his lookout post above the derelict city of Belmond. Merrick Bouchard is one of thousands serving a dogmatic regime which seeks to control the city and its resources while starving masses of mutants and vagrants vie for the scraps. Carrying wounds from a brutal childhood and disenchanted with his life, Merrick will soon discover he is nothing like those with whom he serves. There is something in his blood; something which could break him if left untamed, but which might be the key to the survival of his world, if only he can learn how to wield it.